Wool lovers know that Australian merino is among the finest yarns in the world, usually exported, and seldom made available for hand-knitting. 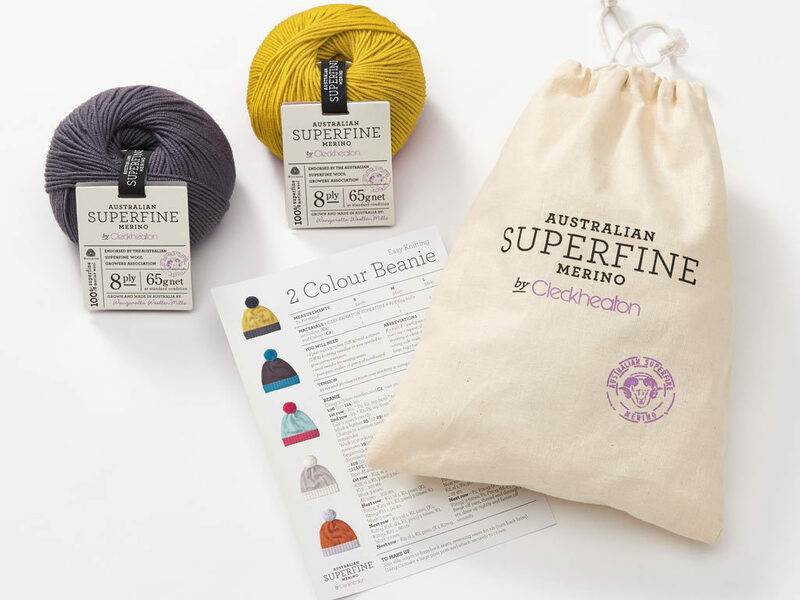 Australian Country Spinners, owners of Cleckheaton, are changing the local hand-knitting game with their new yarn, Australian Superfine Merino, from sheep raised in a sustainable way. The yarn is milled at the Wangaratta Woollen Mills in regional Victoria, and reboots an established and much loved brand. Cleckheaton have really gone to town to show how special this yarn is: in place of the more usual paper band is a letter-pressed swing tag with a ribbon that can be sewn as a label on your finished garment. There are 30 jewel-like colours in DK merino to choose from, and each ball is 65 g (more meterage means fewer joins, yay!). 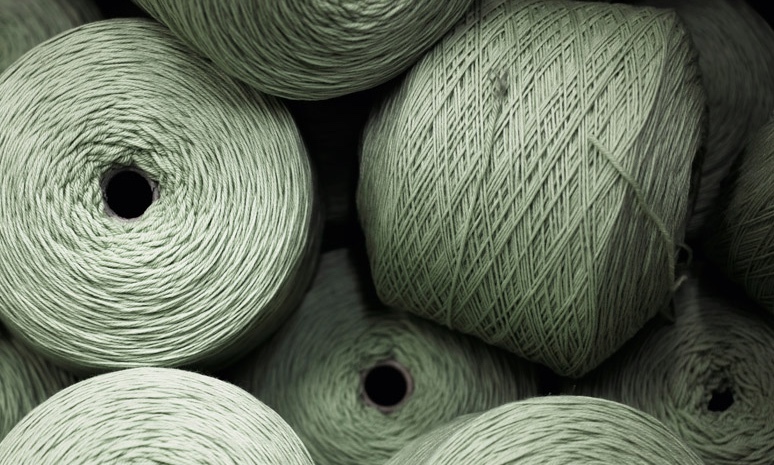 The yarn’s tightly plied structure gives terrific stitch definition, and it’s beautifully soft. 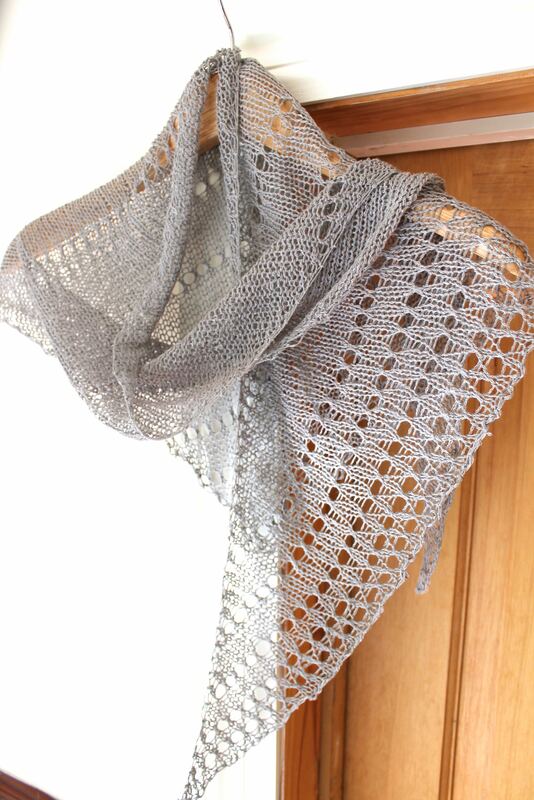 More than a few customers who bought the yarn last week have said how much it reminds them of Zara yarns. We have kits of the booties and beanies at the shop, in different colour options, which come in their own project bags. And it’s great to see good pattern support too, with a wide selection of hard-copy pattern leaflets (also available as downloads) for accessories, and garments for babies, men, women and children. As the weather cools down by the day, it’s been lovely catching up with some of you when you drop by to stock up for autumn/winter knitting. We’re here to help with ideas and suggestions, so please do not hesitate to ask. In store news, here are two recently finished one-skein projects: an utterly divine Hitchhiker, knit in Colinette Jitterbug. And a Dangling Conversation, a quick knit that uses just one skein of Shibui Linen. 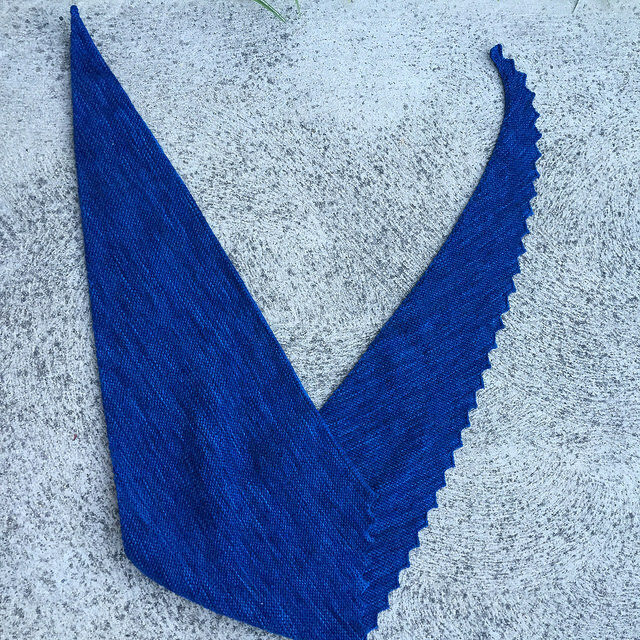 Tell us what’s on your needles, and share your finished projects with us on Instagram, @sunspunyarns. Categories: FO's, Knitting, New, Yarns | Tags: Australian yarns, Collinette Yarns | Permalink. Hi Sue, Yes it is superwash. We do have some non-superwash yarns coming this winter so keep an eye on the blog for those when they’re announced.